GOP Rep. Rob Bishop of Utah criticized Democrats on the House Natural Resources Committee on Wednesday, alleging they violated committee rules and did not make clear the intent of a hearing on climate change. “It would have been a bit easier, if not at least more transparent, if the majority would have continued the long tradition of publishing a hearing memo, per Rule 4(c) of our Committee’s Rules — so that not just the Republicans — but also the public, could understand the purpose of the hearing,” Bishop, the committee’s ranking member, said in prepared comments. The Daily Caller News Foundation asked committee Democrats for comment on whether they violated committee rules. “We told [Republicans] about our gubernatorial witnesses before the hearing was even announced. This claim is wrong on its face,” a spokesman responded. Committee Rule 4(c) states that each party should make a tentative witness list available to the others as soon as possible after a hearing is announced. The majority party — now the Democrats — is also responsible for making a memo on the hearing’s subject matter and releasing for the entire committee to view, according to a copy of the committee’s rules obtained by TheDCNF. The committee rules, approved Jan. 30, have not been posted publicly online. Democrats on the committee have 30 days from the date of the rules’ approval to post them in full on the committee website. Bishop also took issue with the topic of the hearing and expressed doubts that the subject of the hearing fell within the committee’s jurisdiction. 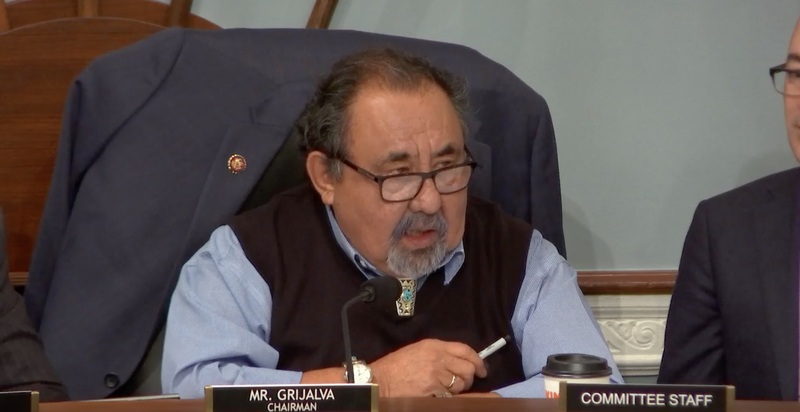 The committee needs to prioritize reforming forest management practices to lessen the chance of deadly wildfires, as well as coming up with ways to chip away at the National Parks Service’s deferred maintenance backlog, Bishop said.